The citizens and civil society are most grateful to Reverend Athureliye Rathana Thero, for leading the ‘Pivithuru Hetak’ ( For a Just & Fair Society Tomorrow) Movement, in the development of the National Policy statement ‘Rata Gatha Yuthu Maga’: which programme has as one of its cornerstones, the assurance of good governance and a corruption free society in Sri Lanka. Introduce Acts to investigate and prosecute bribery and corruption and for the fulfilment of the commitments and obligations under the UN Convention Against Corruption. The Bribery and Corruption Investigation Commission should in addition, not limit its functions to responding to the complaints, but should function as a multi-disciplinary Anti-corruption & Economic Crimes Investigating and Prosecuting Agency, and as such be empowered to investigate and prosecute all types of large scale corruption and economic crimes, applicable, with equal force to both public and private sectors. In the fulfilment of the above noteworthy objectives of essential good governance and anti- corruption goals, the citizens and civil society ieve, it is necessary and essential, in addition, that the Government in due collaboration with the Opposition parties in the legislature to take early steps to enact a law for the due “Recovery of Proceeds of Crime”. 15. Crimes linked to Terrorism, including crimes committed by the LTTE, their leaders and agents now living in Sri Lanka or overseas. Any persons who have engaged in above mentioned crimes, frauds and illegal activities, must not only be brought within the rule of law by the law enforcement and justice processes of the State, but equally importantly, should be duly subjected to effective legal provisions, law enforcements and judicial processes, to recover the proceeds of such crimes and frauds, which have enriched such criminals and fraudsters, their families, cronies and network associates. Terrorism, war and conflict having subjected this nation and its people over a thirty year period, to criminal elements associated with such activities, any persons connected with such criminal actions, whether currently living in Sri Lanka or overseas, where they have enriched themselves in the process, should also be pursued and be held accountable to the state; and any proceeds of such crimes that they may have been enriched themselves, their families and associates must be duly recovered. Such action must pave the way for specific recovery of any available assets of LTTE, their leaders and agents in Sri Lanka and overseas. All such property (including gold, jewellery, investments and bank deposits) recovered by the State and its agents must be restored to their legitimate owners and/or their legal heirs, along with any such assets as since recovered during and after the end of the war, by the state, the military, state authorities, Banks and their agents. It is therefore earnestly urged that the Government, the Opposition and the Executive must collectively take the initiative, as a natural extension to the legislation now proposed for adoption for the protection of victims of crime and witnesses, as well as those action steps articulated by Reverend Athureliye, to enact at the earliest, a comprehensive “RECOVERY OF PROCEEDS OF CRIME ACT”. 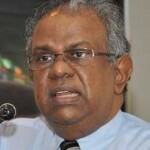 It should be stressed that such an act should enable the victims, of crimes committed by corporate entities, state officials ,groups of individuals, and individuals, (including the LTTE, their leaders and agents now living in Sri Lanka), to be held retrospectively accountable for the such crimes and successfully pave the way for specific recovery of any available assets of the perpetrators of such crimes, and the restoration of such property recovered, (along with such asset, as since already recovered by the state, military and state authorities and their agents) with the legitimate owners who were the victims of such crime. With most political parties represented in the current Parliament being in agreement with the proposals of the ‘Pithuru Hetak’ Movement and sentiments promoting Good Governance and Anti Corruption action being specified in the Mahinda Chinthanaya and in Parliamentary statements of leading Ministers, the recommendation made above for the early enactment of a “RECOVERY OF PROCEEDS OF CRIME ACT” should have the support of a majority of stakeholders required for such enactment. JHU proposals are excellent I thought. If the govt does not give reassurances the support should be taken away. Rajapaske looks a bit rattled. The internal polling perhaps suggest UNP is a head. This is a good time for the hangers on to get what they want. 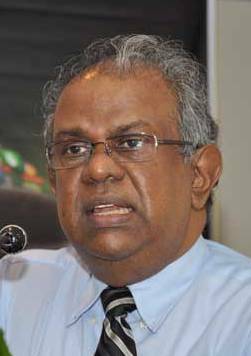 Do you think the JHU will quit the UPFA and the government, if their proposals are rejected? They will find the formula to hoodwink the people and stay. They will be poor and lost souls sans the UPFA and MR. Can they exist without the gravy train? Chandra, when will you write to the People a Common sense Pamphlet, just like Thomas Paine did for the Americans in 1776? Still Waiting. Just Do It!, as Nike Company says. There is “No law enforcement and justice processes of this State”, the Miracle Chinthana Island of the Asia. are Pilfering thieves who are corrupt to the core. Are We expecting a fair deal from these Hyenas. Do you think criminals and thieves will enact laws to entrap themselves or rats to make a trap in which they will be caught! A good idea no doubt, but absolutely impractical at this point in our political history. ” It takes a thief to catch a thief” may be true, but we have yet to identify the thief who can turn tables on his ever growing tribe of great thieves.I hope such a one will be born soon. Excellent ideas Mr Jayaratne. The article by Tisaranee Gunasekera in CT says it all.